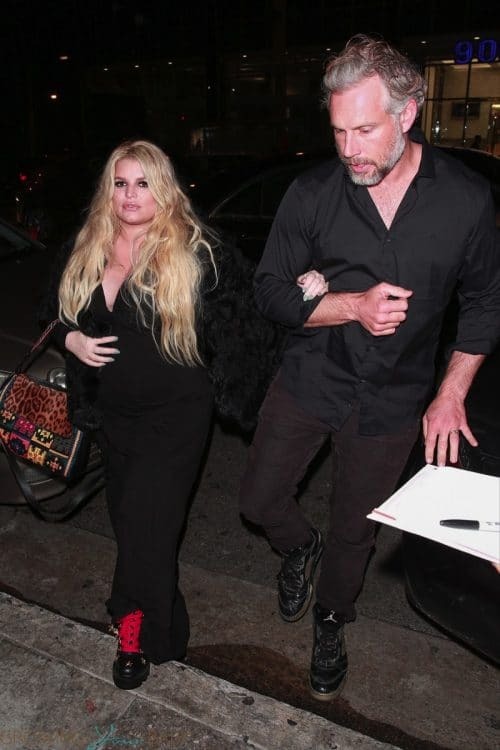 Jessica Simpson and Eric Johnson were spotted heading home after Ashlee Simpson and Evan Ross’s concert in West Hollywood on Saturday, January 20, 2019. The third-time mom-to-be kept it chic in all black as she left the Roxy. Last week Jessica added her take on the 10 year challenge by posting a photo of herself 10 years ago before she had kids and her swollen feet now that she is in the third trimester. In the home stretch, Jessica celebrated the baby’s pending arrival with a nature themed baby shower on Sunday. The singer shared photos of her family wearing floral crowns. Jessica also revealed the baby’s name. ‘Birdie’s nest’ appeared multiple times throughout the star’s social accounts and it was confirmed that will be the baby girl’s name.